How was your long weekend? Was it amazing? Mine sure was and I whole heartedly wish it was still going on. We usually tend to travel over three-day weekends - mostly because we feel like we need to make the most of it. But this past long weekend we stayed in the Bay Area and it was perfection. We did a lot of exploring of Oakland which made me really happy. I recently picked up this great book, This is Oakland and basically followed it to a tee. I am totally digging Oakland (if you can't tell) between the sunshine and great food, it is quickly becoming my happy place. 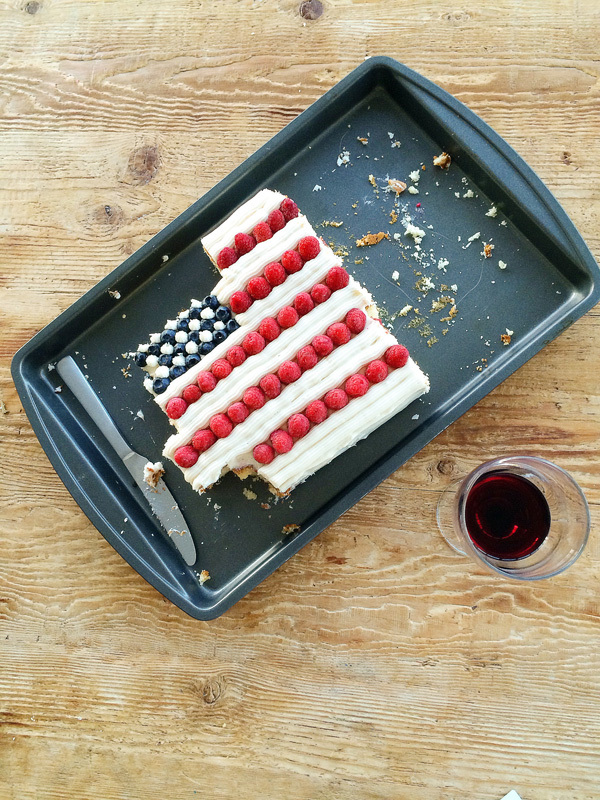 Here are some scenes from a long holiday weekend. We got bikes a couple of weeks ago and I am obsessed with mine. It is such an easy way to get around town, especially since Oakland is flat, unlike San Francisco. It also makes for a pretty awesome date night. So Thursday night we hoped on our bikes and rode from our neighborhood of Rockridge down to Temescal which is an up and coming (re: trendy hipster) area of Oakland. 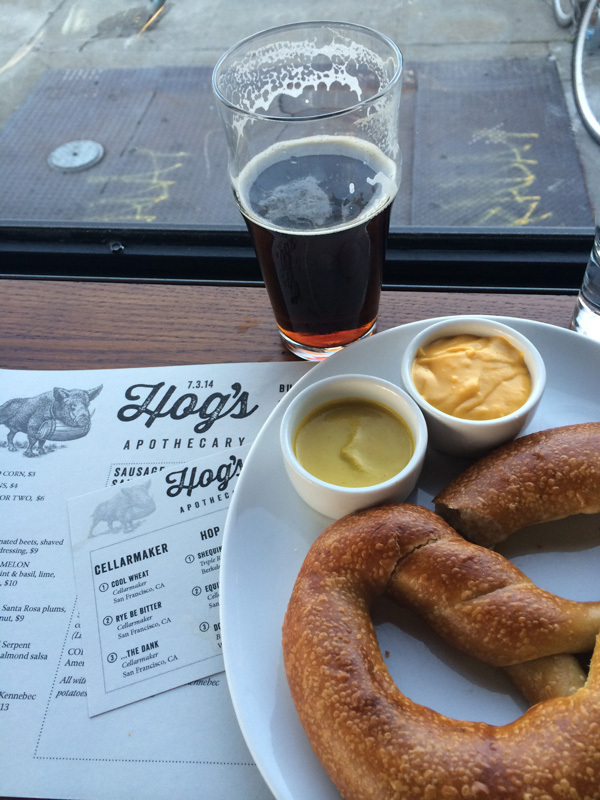 We ate at this delicious gastropub - Hog's Apothecary. Beer and soft pretzels for dinner, need I say more? Friday we were fortunate enough to be invited to Stinson Beach for the 4th of July. Stinson is an awesome beach town on the coast in Marin, about an hour from our house. Filled with great friends and sunshine is was a magical way to spend the 4th of July. Saturday we woke up and did some house chores (because this list just keeps getting longer) but I did get a chance to ride my bike again and get fresh bagels from Beauty's Bagel Shop. Amazing. I love a good bagel and since this one is in biking distance means I don't have to make my own anymore or wait until I go back to New York. Yes, I am that picky when it comes to bagels. Saturday afternoon we took Chumley and hiked through Redwood Regional Park which is kind of unbelievable. 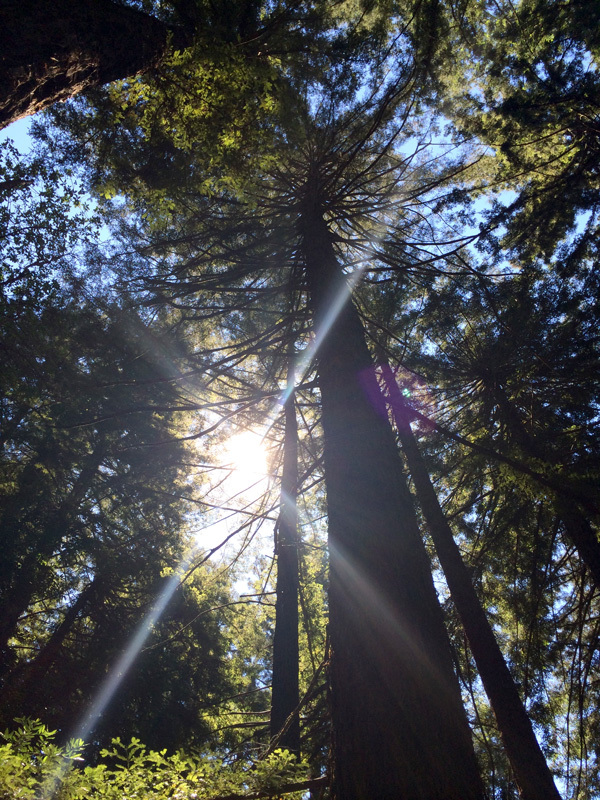 20 minutes from downtown Oakland, there is a huge redwood forest. This might be my new favorite way to spend a Saturday afternoon. After the hike we decided it was best to cool down with a beer so we ventured back into Oakland to the Telegraph Beer Garden - super hipster - I mean super hipster. Shockingly they are really nice there but I still didn't feel cool enough to be there. I think I need a tattoo or something to fit it. But they are dog friendly so Chumley got to hang as well. Sunday morning was spent with the usual farmer's market stop. Check out these dahlias! Dahlias might just be my most favorite type of flower. We used them in our wedding and just absolutely love them. Sunday afternoon turned into a magical bike ride throughout Oakland. We road through Temescal, Grand Lake and Old Town then had dinner in Uptown. Some of the highlights were my new favorite liquor store - Alchemy Bottle Shop which has every delicious liquor you can imagine and the store is stunning and simple. 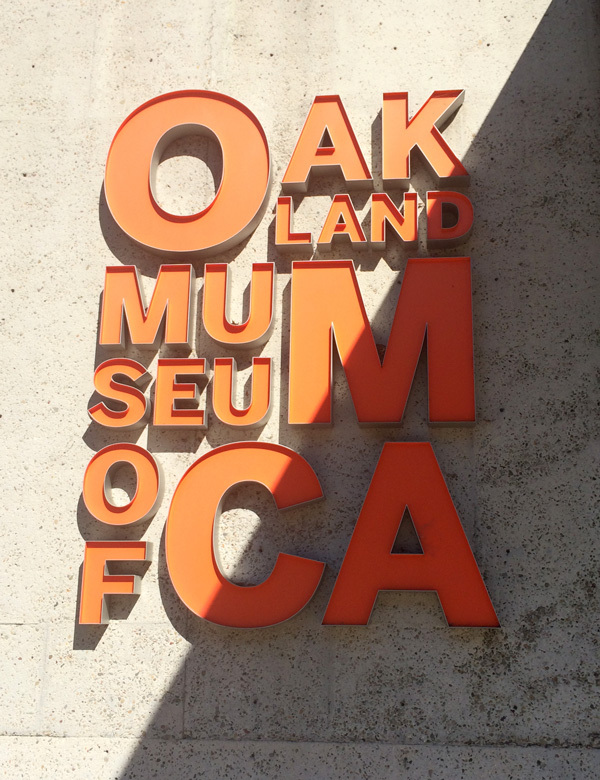 We checked out the Oakland Museum of California which tells the history of California. It was actually really great and the building is an architectural gem, right in Old Town Oakland (which is really downtown rebranded). Uptown views of the Fox Theater on the way to dinner. 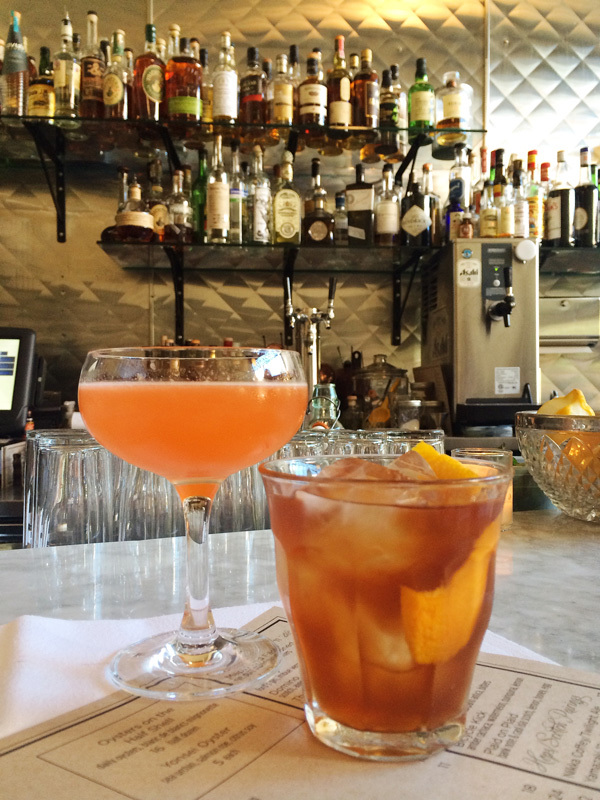 Our final stop on the Oakland tour was dinner at Hopscotch - a tiny restaurant with delicious cocktails and even better food. All in all it was an epic weekend and was exactly what was needed. I think every weekend should be a long weekend - what do you think?